Message: Thought you might be interested in this 2018 Buick Envision. 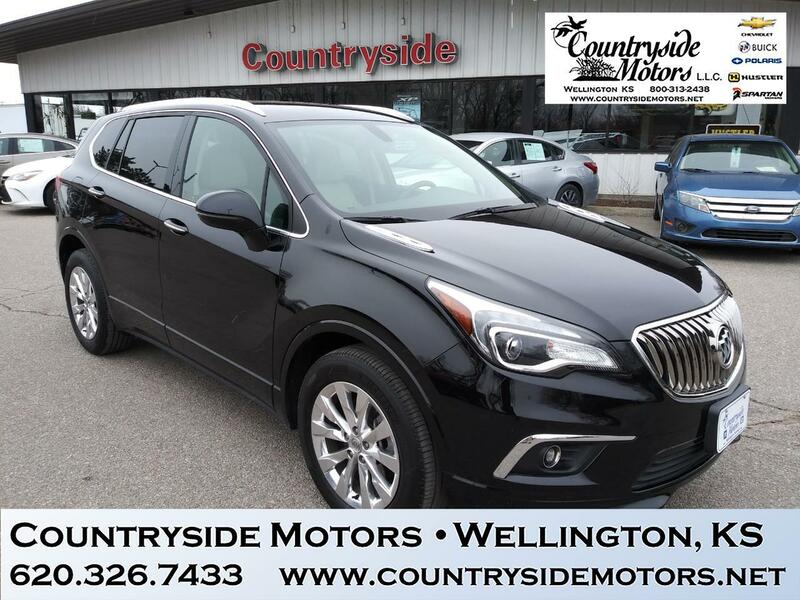 Discounts may include Manufacturer Rebates, Consumer Offers, Conquest or Loyalty Offers, Finance Company Down Payment Assistance, Cash Discount and/or Countryside Motors discounts. Manufacturer Offers vary by Manufacturer. Some offers cannot be combined. Not all customers may qualify for all discounts. Contact Countryside Motors for full details. Pricing of vehicles on this web site does not include options that may have been installed at the Dealership. Pricing may include current promotions and/or incentives. Monthly payment calculator is an estimate and does not include tax, title, license or doc fees. Please contact the Dealership for latest pricing and monthly payment. Published price subject to change without notice to correct errors or omissions or in the event of inventory fluctuations. Price good for 2 days only, please contact store by email or phone for details. Based on EPA mileage estimates, reflecting new EPA fuel economy methods beginning with 2008 models. Use for comparison purposes only. Do not compare to models before 2008. Your actual mileage will vary depending on how you drive and maintain your vehicle.